Another gay boarding school novel, and one that benefits from having experience with the genre. (It’s litter with in jokes and references that easily slip by: most people will get, say, the inclusion of Radcliff Hall, but only a reader with experience in the gay-boarding-school field will pick up the namedropping of greats such as Clemence Dane, or my beloved Mädchen in Uniform.) It’s quite self-aware—flipping between 1st and 3rd person, for example, as well as highlighting and deliberately subverting expected tropes. Not much happens, but it happens very beautifully. This book was a slow read, although the contradictions and hypocrisy found in words, philosophy, and actions kept me turning the pages. I was keen to understand the meaning behind the words, interactions, and friendships. 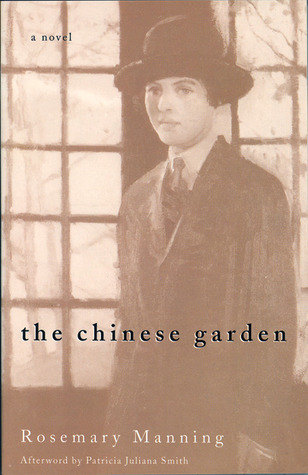 The "afterward" by Patricia Juliana Smith helped put the story in context as the novel takes place around 1925 and depicts the intolerance and ostracism of lesbians. For me, the numerous themes were conflicting and confusing -- a female boarding school with male overtones, repressed or "behind closed doors" homoeroticism, intolerance, and exploitation. While the themes are confusing in 2014, not so in 1925. Utterly dreary. The afterword (by Patricia Juliana Smith), which places the book in the larger context of lesbian literature is rather more interesting than the novel itself. I did like the description of the titular garden however, and would love to discover such a place myself. Rachel Curgenven attends a very strict girls' school. When her close friend Margaret is found in bed with another pupil, Rena, Rachel is accused of helping them. Considerably more frank than most school stories, this book is intended for adults.